Let’s take a look at some of the best racing games for this year. Racing games are always a great choice when it comes to enjoy fun & excitement at the same time. Though this game might lost its power a bit over years, it is still a perfect choice for those who love racing games. This game allows users to take control of cars that move around with amazing speeds and excite users tremendously. There are various game modes to choose from such as time trials, standard races and time shift multiplayer modes that give amazing challenge to players. The newly Asphalt game takes the action off the road in Asphalt Xtreme. The players can take their cars out in canyons and dunes by indulging in various game modes. There are different vehicles to choose from dune buggies to pickups and monster trucks, with licensed automobiles such as Jeep, Ford and Dodge. Apart from five game modes and hundreds of career events and challenges, Asphalt Xtreme also boasts of live multiplayer with up to eight players going head to head on the track. In contrast to more realistic mobile racing sims, Asphalt 8 brings an action-oriented tactic, delivering striking graphics and fast-paced, nitro-fueled races. Airborne according to its name presents numerous ramps and other gameplay elements motivating players to take death-defying leaps to perform crazy aerial stunts. Asphalt 8 features 56 high-performance vehicles from leading automakers, and offers eight seasons, 180 events and numerous game modes for solo or multiplayer mayhem. Gameloft’s GT Racing 2 is a fully-loaded game tends to counter against Real Racing’s dominance in the genuine driving-simulator field. Termed as “The Real Car Experience,” GT Racing 2 features more than 71 licensed cars to choose from on 13 tracks. 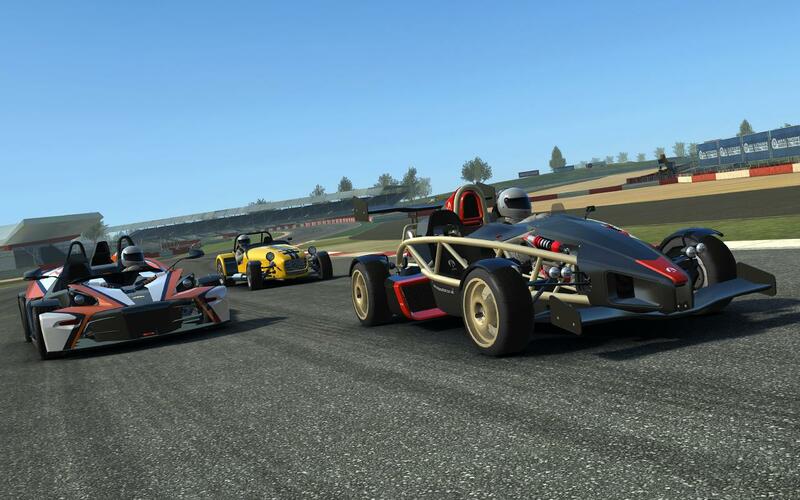 Players can check out various game modes such as Duels, Knockouts and Overtakes, or take part in classic races across more than 1,000 different events. Various camera modes and a built-in screenshot function let you enjoy the slick graphics and weather effects. Need For Speed: No Limits is a free racing game that is known to feature amazing races one can blast through an underground street racing circuit. Drifting, drafting and smart use of nitro are skills necessary to win, with victories earning you parts to modify your cars or blueprints that reveal new machines. NFS: No Limits presents a range of in-game and premium currency systems, as well as a fuel system, though regular challenges enable players to earn premium currency without leading to in-app purchases. The game features a single-player career mode along with online and local multiplayer races. Being a discredited racer, you must stand for yourself in the illegal racing circuit while slowly ascending your way back up to the top. Riptide’s stunts mechanic promotes players to take risks on big jumps to build up a turbo gauge, and players can gather a range of different racing craft and unlock new skills, stunts and character models.